Federal Finance Minister Bill Morneau is flanked by his provincial and territorial counterparts as he speaks during a news conference after reaching a deal to expand the Canada Pension Plan, in Vancouver, B.C., on Monday June 20, 2016. What drove the expansion of CPP? The biggest single factor was the dire state of the traditional company pension. For decades after the Second World War, workers at most large businesses could look forward to retiring with a regular monthly cheque for a clearly defined amount, fully backed by their employer. Those defined-benefit pension plans are rapidly disappearing, especially among big industrial employers such as car manufacturers, steelmakers and the like. An expanded CPP is designed to address the shortfall in middle-income retirement planning that is opening up as a result of disappearing corporate pensions. Most at risk are workers under the age of 45 with middling incomes – say, families earning about $50,000 to $80,000 a year. Without the defined-benefit pensions that their parents enjoyed, many could hit retirement with little in savings. Pension experts have warned about the middle-income retirement gap for years, and CPP reform has been on the national agenda since at least 2009. However, expansion proposals always fell short of the necessary level of support. Approval from Ottawa and at least seven provinces with at least two-thirds of the country's population was required to make a deal. 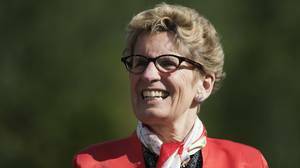 One factor that shook the never-ending talks out of their lethargy was Ontario's determination to go out on its own and launch a supplementary pension plan in 2018. That put an effective deadline on discussions. Add in a new Liberal government that has made CPP expansion a priority, and this week's meeting finally achieved the necessary consensus. 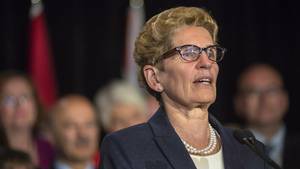 Ontario now says it will fold its own plan in favour of the supersized CPP. The new regime will begin to be implemented in 2019. The deal negotiated between Ottawa and eight of 10 provinces will expand the Canada Pension Plan in two significant ways. Currently, workers and employers in Canada pay 4.95 per cent of salaries into the CPP, up to a maximum income level of $54,900 a year. When people retire at the age of 65, they are paid a maximum annual pension of $13,110 under the program. People earning more than $54,900 do not contribute to CPP above that level, and do not earn any additional pension benefit. The first major change announced on Monday will increase the annual payout target from about 25 per cent of preretirement earnings to 33 per cent. That means workers who earn $54,900 a year would receive a maximum annual pension of about $17,500 in 2016 dollars by the time they retire, an increase of $4,390 a year, according to federal finance department estimates. The second change will increase the maximum amount of income covered by the CPP from $54,900 to about $82,700 when the program is fully phased in by 2025, which means higher-income workers will be eligible to earn CPP benefits on a larger portion of their income. For a worker at the $82,700 income level, CPP benefits will rise to a maximum of about $19,900 a year in current 2016 dollars. How will higher benefits be funded? Contributions to CPP from workers and companies will increase by one percentage point to 5.95 per cent of wages, phased in slowly between 2019 and 2025 to ease the impact. People earning $54,900 a year will see premiums increase by about $9 a month in 2019, rising to $43 a month when fully phased in. To ease the hit, the federal government is introducing a tax deduction for worker contributions. When fully phased in, the monthly increased premium cost of $43 will be reduced by $9 by the income-tax adjustments, leaving an after-tax monthly cost increase of $34. 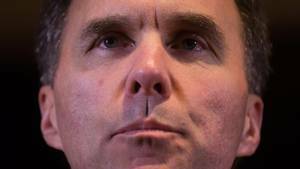 The federal finance department said the portion of earnings between $54,900 and $82,700 will have a different contribution rate for workers and employers, expected to be set at 4 per cent. The main beneficiaries will be young employees, who are less likely to have workplace pension plans than older workers. To earn the full CPP enhancement, a person needs to contribute for 40 years at the new levels once the program is fully phased in by 2025. That means people in their teens today will be the first generation to receive the full increase by 2065. Others will benefit to a lesser extent on a sliding scale depending on their age, so the amount of pension increase will fall significantly for those closer to retirement today. Details have not been announced yet about how much more people will earn if they have less time before retirement. Workers will also benefit from the relative simplicity of expanding the CPP compared with alternative solutions, notably Ontario's proposal for an all-new Ontario pension plan. The CPP already exists, so enhancing it will require minimal new infrastructure. The proposed Ontario Retirement Pension Plan would require a new system to collect and invest the funds. The Ontario program will be abandoned if the CPP expansion proceeds as planned. While CPP expansion is easier to understand than introducing a whole new program, workers who qualify for only a portion of the new enhancement will have many questions during the phase-in period. Expanded CPP does not do much to help people who do not collect CPP in the first place. That describes many senior women who spent most of their lives as homemakers and so earned little or nothing in CPP benefits. About 28 per cent of single senior women over 65 live in poverty, according to a study this spring for the Broadbent Institute by statistician Richard Shillington of Tristat Resources. Expanded CPP also will not do much to help other seniors currently living in poverty, even if they collect some CPP benefits already. As part of the most recent CPP reform, in 1997, it was agreed than any future expansion in benefits would have to be fully prefunded. As a result, it will take many years before expanded contributions work their way through the system to bring significantly higher benefits to tomorrow's retirees. Finally, expanded CPP does only a limited amount to help affluent savers. This week's agreement will boost the maximum amount of income covered by the plan to about $82,700 by 2025, a significant increase from the current ceiling of $54,900. But those with six-figure incomes will still have to save on their own if they want a retirement income that will replace a considerable portion of their incomes above the expanded limit. Will this expansion crash the economy? It seems highly unlikely higher CPP contributions will stunt our national growth. The boost in contribution rates will proceed at a glacial pace, beginning in 2019 and taking seven years to complete. Workers and businesses will have plenty of time to adjust. In addition, tax breaks will cushion the impact of the higher contributions on employees. "This is very, very mild stuff," says Keith Ambachtsheer, director emeritus of the Rotman International Centre for Pension Management. History suggests the economy will fare just fine. Between 1997 and 2003, CPP contribution rates rose from 6 per cent of pensionable earnings to 9.9 per cent. Despite the increase, unemployment rates actually fell during that time. One big issue is how expanded CPP contributions will interact with the Guaranteed Income Supplement, a government stipend aimed at low-income seniors. It is not clear if more generous CPP payments could result in greater clawbacks of GIS. "It's an issue that needs to be addressed as part of this reform," Mr. Ambachtsheer says. "This cannot lead to low-income workers paying extra contributions now only to lose their GIS later on." Other questions also linger. It is not certain, for instance, what returns are being assumed on CPP contributions. It is also unclear how the system will ensure fairness between young and old workers. "We now understand the intent behind CPP reform," Mr. Ambachtsheer says. "To make the intent a reality is going to require a lot of details that have to be sorted out now that the initial euphoria of reaching a deal is over."